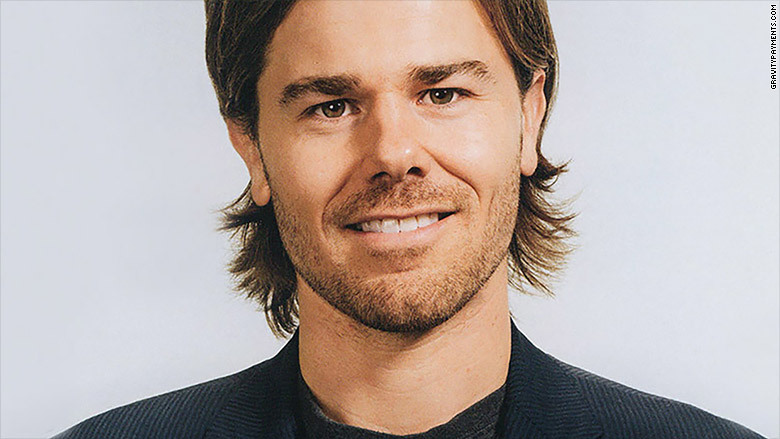 By now, we have all heard about Gravity Payments’ CEO, Dan Price. His minimum wage pay bump to even his lowest-level of employees leaves us all too curious. Is this a PR stunt, a strategic employer branding move, a social experiment or is he just a really nice guy? If something sounds too good to be true, it usually is…right? The employment world in the U.S. is already hovering on the cusp of minimum wage strikes, payment inequality debates and a frustrated working class. Some say the announcement is well-intentioned but a long-term disaster, others applaud the move as a step in the right direction and still more wonder how this will ultimately affect Gravity Payments and its SMB counterparts. The dumbfounded look on Gravity Payments team members’ faces is enough to understand how big of deal this really is. Employees who walked into work with their coffee cups walked out of work with the gift of an extremely fattened paycheck. Over the course of Price’s three year plan, all salaries will increase, with lower-end salaries doubling, in order to fulfill Price’s overall plan. “But there’s a huge problem with the study. People who make $75,000 are self-selected for happiness both by age and by aptitude. 90% of Americans admitted the stress they feel about money has either remained the same or gotten worse in the last year. A gross increase in take home pay undoubtedly has a positive effect on the Gravity Payments’ employees. Not having to worry that you can make ends meet the next month definitely will reduce stress threat levels. On the other hand though, handing that high of a salary to a 22-year old may be destructive, particularly if they haven’t done anything to earn it. In addition, jumping salary tiers this quickly can leave employees unprepared for their new tax bracket. University of Warwick Economists carried out a number of experiments to test the idea that happy employees work harder. In the laboratory, they found happiness made people around 12% more productive. But let’s not get carried away here thinking money encompasses 100% of happiness, motivation and engagement. Frederick Herzberg, Distinguished Professor of Management at the University of Utah’s Graduate School of Management, has argued just because too little money can irritate and de-motivate does not mean that more and more money will bring about increased satisfaction, much less increased motivation. “External rewards, in general, are very weak motivators, and, in fact, they often hurt performance or discourage us from wanting to do something at all.”Dr. Greg Willard, PhD., a Harvard University professor and Cangrade senior vice president of scientific research. Whatever Price’s motives were, an output from his unexpected announcement is a bright and favorable light cast on his company. A company and leadership that cares enough about every employee to raise salary by a considerable amount immediately becomes more favorable to a future employee. While some gripe about the filmed announcement or point out he was a millionaire before executing this decision, for the most part, he’s the CEO and can do what he pleases. What is yet to be determined is how blanket this policy really is. For every new employee, will the same levels be hit? One or two additional salaries might easily be absorbed into the current compensation structure, but what after ten…or twenty? Does Price want to keep his company at the same size or grow it? New employee search, transition and training can seem like an unnecessary cost, but you want the mediocre and bad employees to leave! With some employees making much more than their market value, not many will voluntarily walk out the door. The CEO of GE viewed the bottom 10% as underperforming and should be let go, across the board. Dan Price seems to care a lot about his employees and their happiness. Is he going to fire the bottom 10%? More accurately, do the standards of GE, a global energy conglomerate really compare to those of a small credit card processor? Probably not. It was just one year ago that Price was selected entrepreneur of the year and 7 years ago that he nearly went out of business. Reasons employees leave range from outside opportunities, pay and interest; among other factors. Even if people aren’t happy with their work, and dare I say disengaged, they will be a lot less motivated to quit because they will not be able to parallel the same benefits package somewhere else. Meaning more low performers will keep putting in the $35,000 basic level of value and collect their $70,000. For an entrepreneur who started his company at 19, when will a pay increase start looking like a waste of money? Will employees with five years of experience begin to resent their counterparts making the same amount without “putting in the time”? And if, for some reason, these employees do leave, who will value their particular skill set this highly? Who will hire a 25 year old at this salary when they can get someone with similar skills and experience for far less? What happens when it comes time for raises. If raises don’t correlate with inflation, or none are given at all, will employees stay motivated? Will a one-time bump make up for not earning a raise every year? Why will employees work harder when they know they can do the same thing they always do and make their paycheck? What is the Price of the CEO? Will Dan Price always be tied to making the same as his employees? What if he thinks he deserves a raise because the company is doing exactly what he wanted it to do? Will his employees feel just as entitled? Will they envy him for not giving raises across the board? What will it say if he starts earning more himself again but doesn’t show the same treatment to his employees? Is he supposed to be viewed as “one of them?” Price himself pointed out that his salary wasn’t reflective of his value but of what it would cost to replace him. Price is right about one thing; executive pay IS out of whack. But overall compensation for CEOs is rarely just about the salary. Chances are, Price has an excellent accountant who can assist with disbursements of profit and write-offs that will make up for, at least partially, the cut in pay. Price will have to play with plenty “what if” scenarios on the road ahead. His actions set the tone for a very exciting but unpredictable future. Time will tell how much of a win-win situation this really turns out to be. While criticism and praise are high now, few people have solutions or ideas to create wage equality across executive rank and file employees than this one, although some recruiters and HR pros pointed out a more gradual increase plan may have worked, as well as more work-life balance. What do you think of the announcement? Would you do the same if money allowed? Leave your answer in the comments!